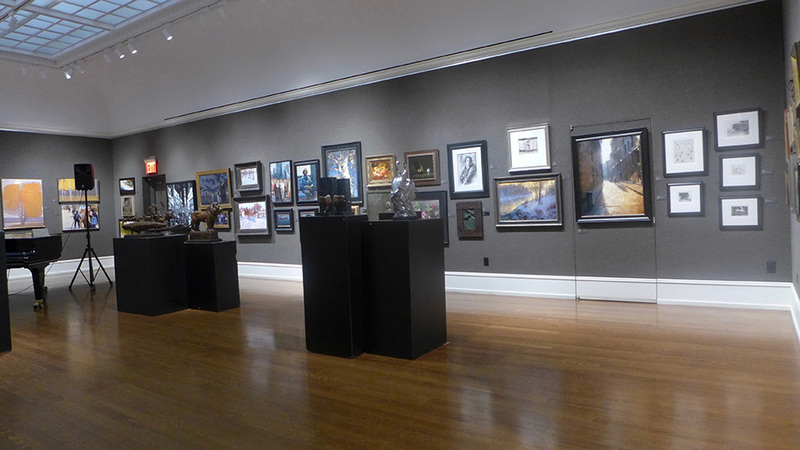 Each year, The Salmagundi Club holds a spectacular exhibition with some of today’s best-known artists. 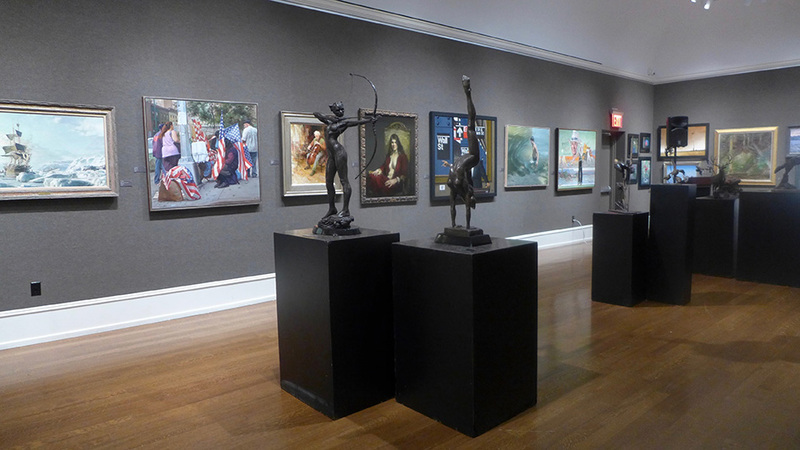 The 2018 American Masters Exhibition & Sale will celebrate the recent $1.5 million renovation and restoration of the Club’s Upper Gallery space in their historic townhouse in Greenwich Village with a Gala and sale on Friday, October 12th from 6-8pm. American Masters, now in its 10th year, will host sixty-eight artists. The work will include paintings, works on paper, prints and multiples, and sculpture from landscape and still life to figurative, portraits and maritime. C.W. 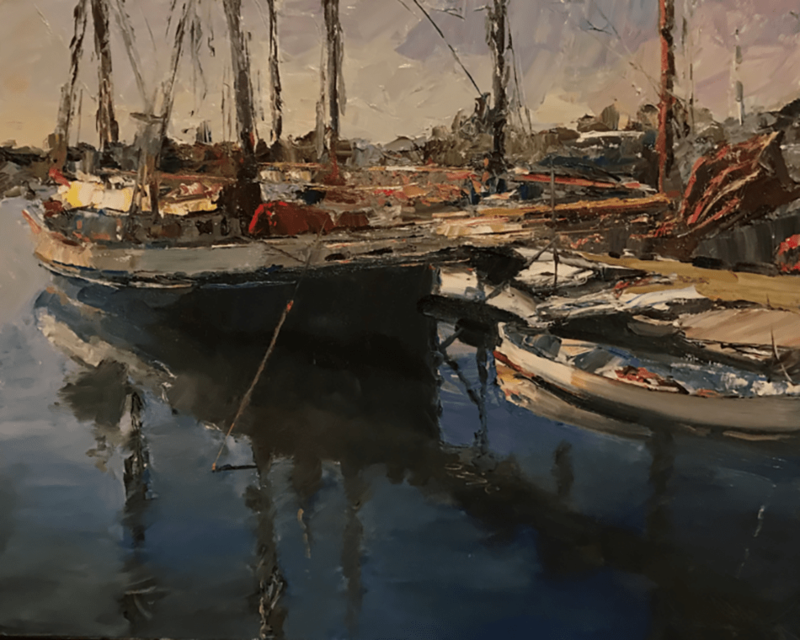 Mundy, The Angelique at Camden Harbor, 2018. oil on linen. 24×30 inches. 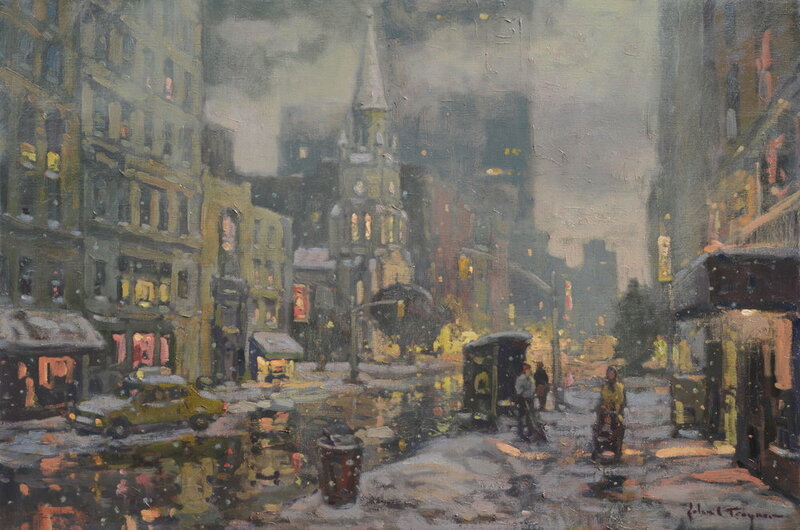 Image courtesy Salmagundi Club. 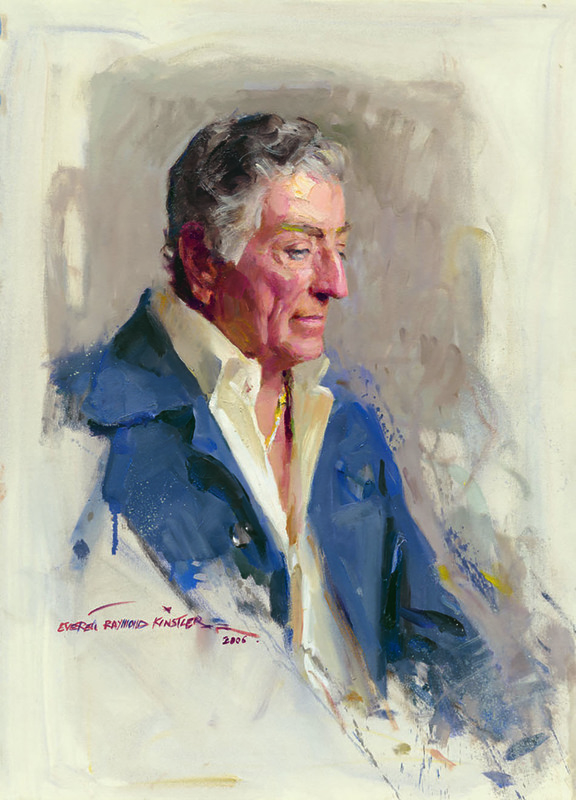 Commemorating the 10th anniversary of American Masters at the Salmagundi Club, a meet-and-greet-reception with the Masters will be held on Saturday, October 13. The event, Living Legends Live, will highlight and honor eight exhibiting artists with a lifetime achievement award for their contributions to the realist-art community over the last several decades. 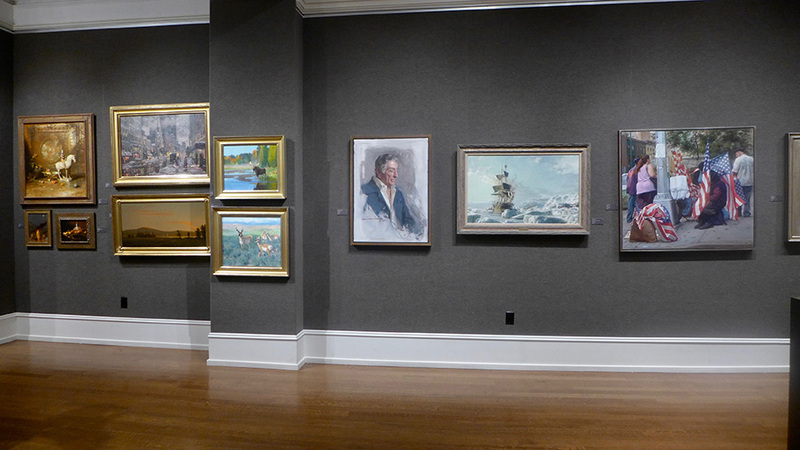 The artists are Douglas Allen, Max Ginsburg, Daniel E. Greene, Everett Raymond Kinstler, David A. Leffel, Richard Schmid, Burton Silverman and John Stobart. 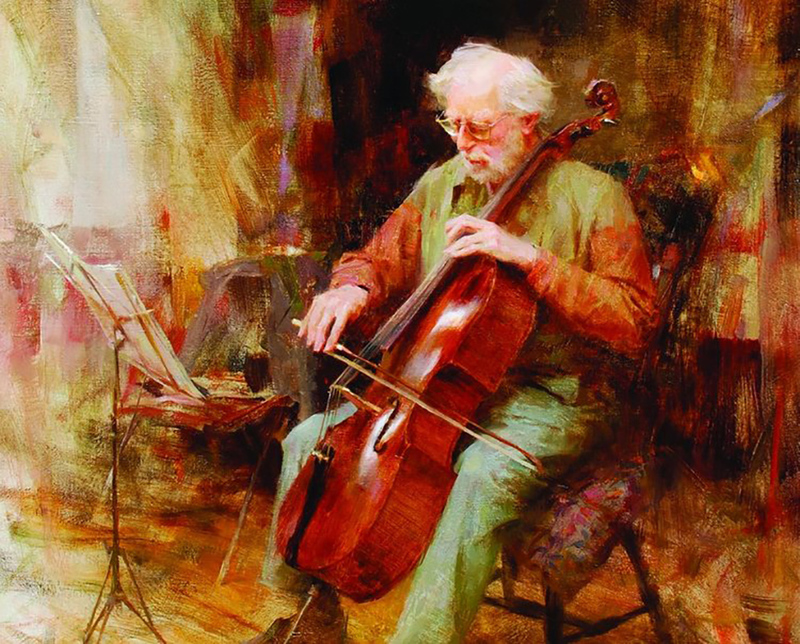 Richard Schmid, ‘David Wells, Cellist’, 2005 ~ 26.22 inches. 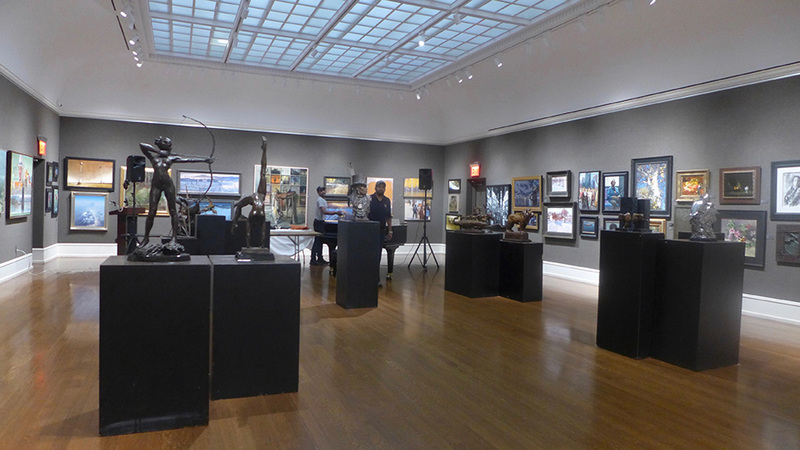 Image courtesy Salmagundi Club. American Masters Fine Art Exhibition and Sale will be on view from October 8 to October 26 at The Salmagundi Club, 47 Fifth Avenue between 11th-12th Streets in Greenwich Village. 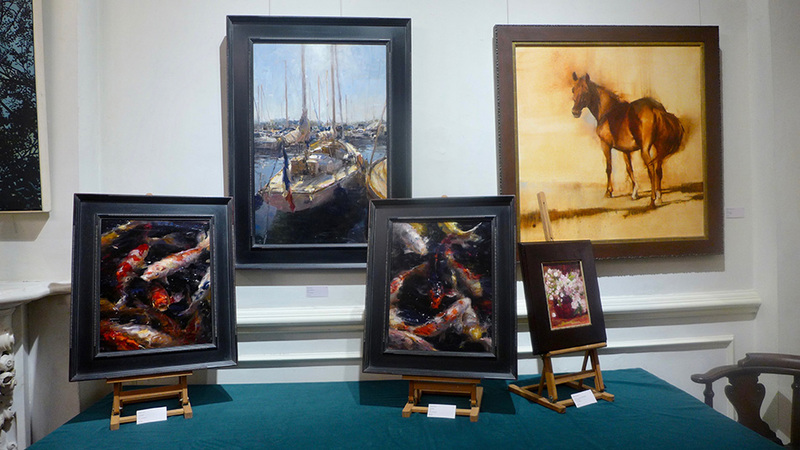 Below are a few photos of the exhibition. Related Events include The Fine Art of Collecting & Curating with Tim Newton, American Masters curator and The Salmagundi Club Chairman-of-the-Board; Collectors; a VIP Preview Reception with Exhibiting Artists; American Masters Gala & Sale on October 12; and Continuing Light: A Journey of Painting & Friendship opening reception. American Masters 2018 is accompanied by a full-color print catalogue featuring each of the sixty-eight exhibiting artists. Can’t make the sale? You can Purchase by Proxy. Net proceeds from this event benefit the restoration and preservation of Salmagundi’s historic 1853 brownstone. 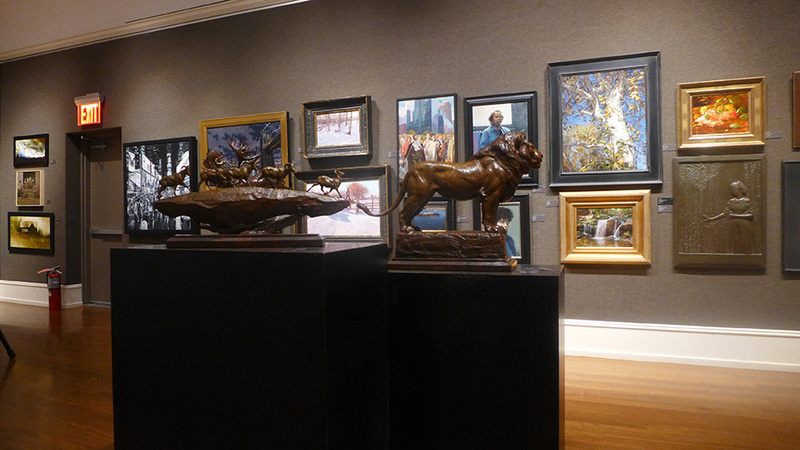 While you’re there, step downstairs to the Lower Gallery for a sneak-peek at the upcoming Salmagundi Auctions scheduled for Friday, October 19th, and Friday, October 26th. 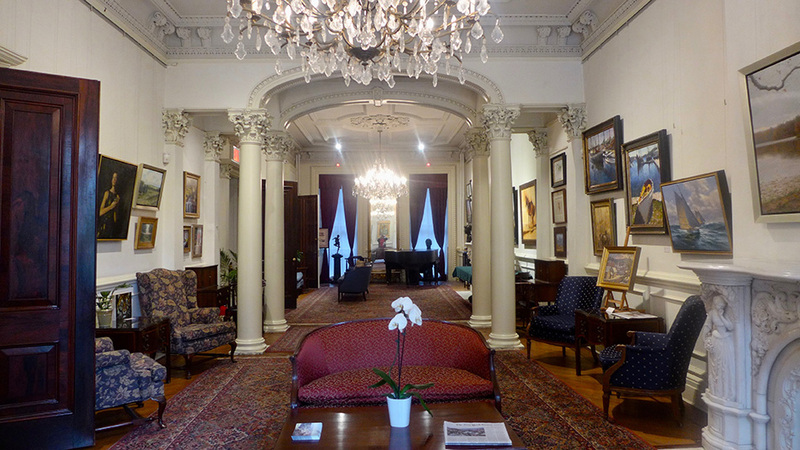 The Salmagundi Club is open seven days a week, free and open to the public. In addition to exhibits in three galleries, the Club offers weekly art classes in every medium at a nominal cost, and other events. 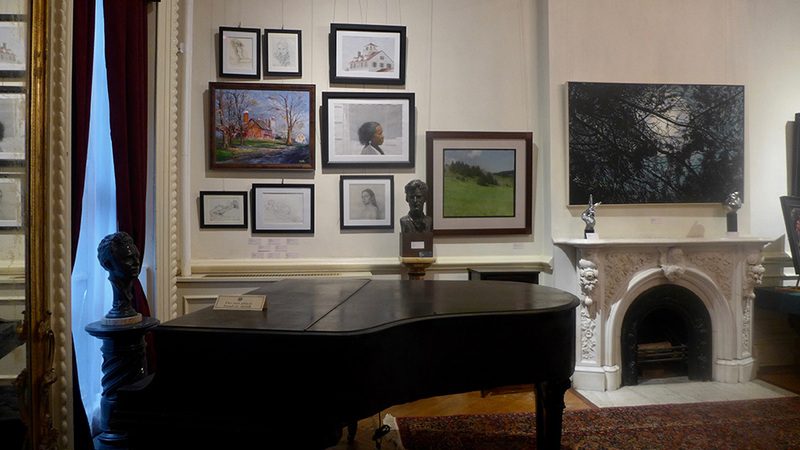 Check The Salmagundi Club website for all events.